As Thanksgiving draws near, there’s a lot to keep track of during this unofficial kickoff of the holiday season. Whether you do turkey with all the trimmings or something more low-key, there’s a chance that you’ll be spending at least part of your time with family — in between the eating, the shopping, the eating, the post-meal family time, and oh, did we say the eating? It doesn’t matter if you’re playing host with the most or the gracious guest; there will likely be a time or three where it’ll fall on you to help entertain some of the smaller members of your family. Get in the giving spirit and think about making one of the below easy projects. Without much difficulty, you’ll be able to keep the young ones calm and even give them a head start on the gifts they want to give. Cut strips of gaffer tape and lay them across the frame, being as structured or as random as you please. It’s easiest to wrap the tape around the frame as opposed to cutting to size to ensure that the tape will hold. You can put strips down vertically, horizontally, or both! 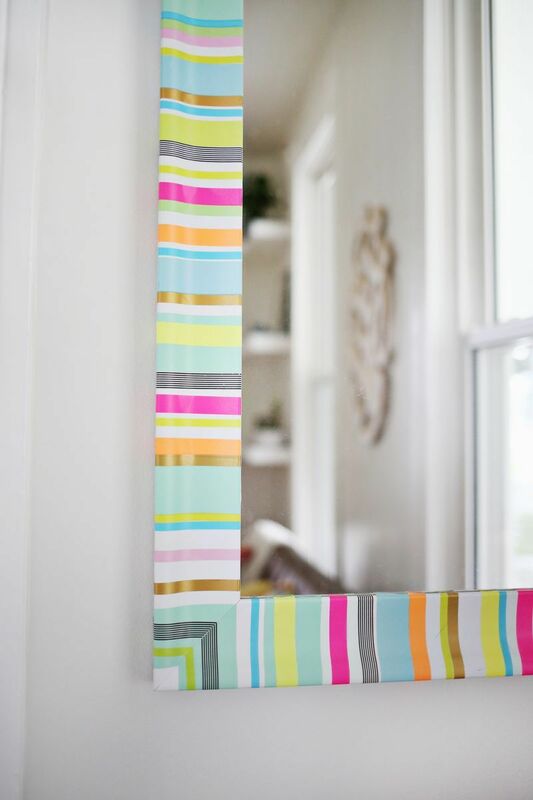 When you’re satisfied with the tape pattern, trim any leftover tape hanging over the edges and smooth. Apply a thin coating of decoupage to ensure that the tape holds. Optional: as a bonus festive touch, and to complete the home-made feel, track down a gift tag, write a personal note, and tie it off with a little twine. If the weather is clear, head outside and find the most “fall” leaves you can. It’s best to pick dry leaves, or if your leaves are a little damp, let them dry in a cool place before using them. Cut out a sheet of contact paper approximately 13” x 18” (or however large you want your placemat) and remove the backing. With the sticky side up, arrange the leaves in any pattern you choose. Cut out another sheet of contact paper of the same size, and press the sticky sides together. If uneven, trim. Then, cover each edge of the placemat with a piece of the tape. A perfect place setting that will last through the fall! If you weren’t snapping up decorative pumpkins after Halloween, there’s still a chance that they’re lurking in your local craft store. Wrap pumpkins in strips of gaffer tape — brown, orange, whatever suits your color palette! Trim tape strips so that they line up with the ridges in the pumpkin for a smooth look. Best of all, the tape will remove easily, so if you ever want to change it up, just rip it off and start again. Alternatively, use some painter’s tape to create a design that will show through. Whether it’s a family initial or something more intricate, easy to rip tape makes it simple to make patterns. Go to a well ventilated area and spray paint directly onto the pumpkin. Once dry, rip off to reveal your masterpiece. Some of these supplies you might need another trip to the store for, but others you may have on hand. Make sure that you’ve got whatever you might need to entertain the smallest members of your family — a little preparedness goes a long way!